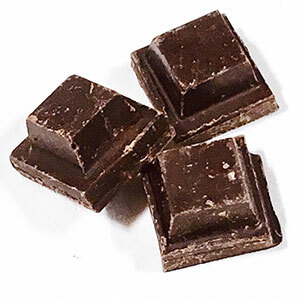 Deep, dark, slow chocolate flavors with hints of spice. Like a dry wine. Every bite has some taste surprises in it. It's hard to describe because it's pretty unique tasting, but great. After you eat a bar, the flavor just stays with you and you have to think about it. And its only 125 calories per square. Milk free. 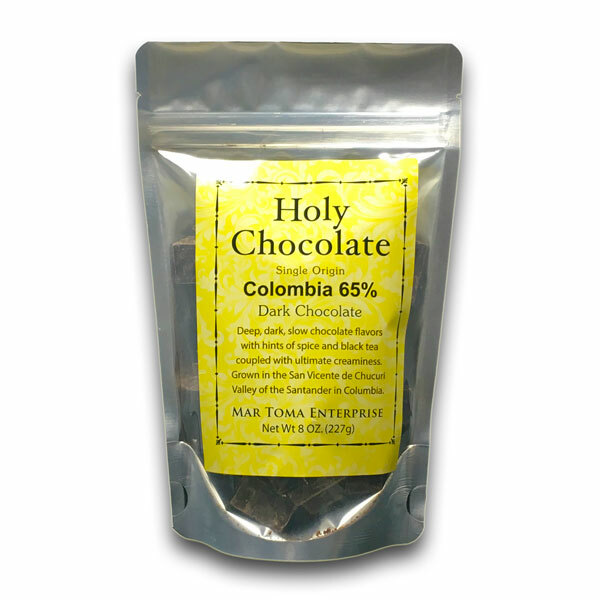 The Colombia uses Trinitario cacao beans which are also used with our amazing Venezuela 65% chocolate bars. There's an interesting story about the Trinitario's. In the 1800's there was a disease that wiped out a lot of the cacao trees in Trinidad and the Criollo and the Forestero's had cross bred and the resulting trees were pretty resistant. Someone figured it out and used this accidental cross breed to guard against further blight and the result was a very hearty and amazing tasting chocolate. I've had some snobs tell me that they only like Criollo like everything else isn't really chocolate, but when we started selling chocolate bars this variety was so excellent that it immediately went to the top of the heap. So it's no wonder that the Trinitario beans are the most common used beans in fine dark chocolates. It is really a trinity of tastes that are divine.